HMI (Human Machine Interface) is a medium for information exchange and mutual communication between electromechanical system's and the user. It allows the user to complete settings through touchable images or keys on the user-friendly window. 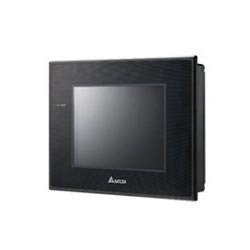 This not only offer's fast and convenient control of manufacturing automation, but also has replaced traditional controlling panel's which need extensive wiring. 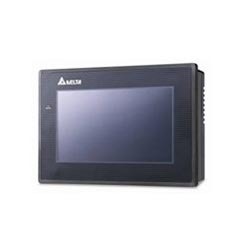 Delta DOP series Human Machine Interface provides various touch screens with multiple dimensions and colors and it also offers fast and convenient control functions for industrial automation machines. We are a well-known organization that is engaged in manufacturing, supplying, trading and wholesaling Human Machine Interface. Manufactured using high quality material, these products are in compliance with international quality standards. In addition to this, we customize this interface as per the specifications detailed by our respectable clients. We are a renowned organization that is engaged in manufacturing, supplying, trading and wholesaling DOP-B Series Human Machine Interface. All these products are manufactured under the close supervision of our experienced and trained professionals. Post-production, these products are thoroughly inspected on certain parameters of quality to ensure their defect-free nature. Looking for Human Machine Interface ?